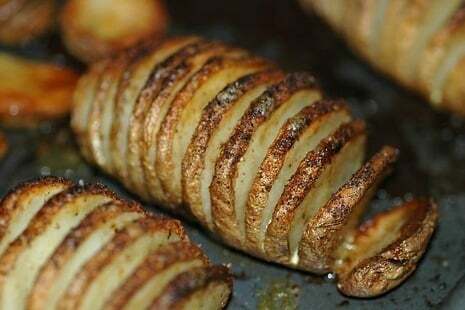 Potatoes are the bridge-builders, the peacemakers, the United Nations of the thanksgiving table. Some people hate Turkey. Others hate yams. Not everyone likes pie. But everyone likes potatoes. Mash-em, bake-em, roast-em, shake-em ... as long as they're not raw or made from a powdered mix, people will eat your potatoes. Ultimate Thanksgiving: The Vegetarian Edition! Happy Vegetarian Thanksgiving! That might sound like an oxymoron, considering the holiday’s nickname: Turkey Day. “How," meat eaters might ask, "can you possibly have a proper Thanksgiving without turkey?” As a practicing vegetarian for 20 years, let me just say we do just fine, thank you! If all of this talk of fall entertaining drives you to drink, never fear, that's all you really need to be a great host. Building a stylish & chic bar can be your biggest asset during the cold and cozy seasons. Nothing welcomes someone into your home more than a freshly-poured drink on the rocks in a classic highball glass. I've assembled most of our barware from Etsy. Vintage highballs, drinks carts and ice buckets that would fit nicely in Don Draper's office create an air of elegance we're sorely missing these days. I say we bring the classic five o'clock cocktail hour back with finds like these. "Holiday with Matthew Mead" is a "book-azine" offering inspiration and DIY/how-to projects for the Christmas holiday season. It'll be available in early November via online orders only, and in limited quantities (click here to purchase it). The double rainbow dude would swoon with the sheer awesomeness of these eatable rainbows. What does this mean?? It means there are a lot of people out there who love rainbows. And food coloring. Growing up, I heard these things called everything - tubepops, freeze pops, freezesicles, those long plastic popsicles in the plastic things...for some reason, we even called them "fatties." But no one ever called them "healthy," and understandably so: traditional recipes are nothing more than sugar, water, faux flavoring, and lots of chemical coloring. But, if you've access to a vacuum food sealer - we've been drooling over this one for years - you can make your own with any fruit juice or popsicle recipe you please. The Kitchn has come up with this cool "pre-divide then fill with straws" recipe that we think is brilliant! A secret: I could probably live on bread. English muffins, croissants, sour dough, BAGELS, whatever. I've baked my share of bread in the past, using both my mom's recipes and kneading it the old-fashioned way, as well as employing a bread machine. (The outcome from the bread machine doesn't even compare, I'm sorry to say.) I have not, however, attempted to make bagels. I'm not a candy bar eater, however if there are Twix Bars in the house around Halloween, I'm gonna have one. Or ten. Which is why when I saw this recipe for homemade, no-bake Twix Bars, a squealed a little. And get this...the recipe took 2nd place at the Indiana State Fair a few years back so, you know, it's GOTTA be good. This picture of Joyful Abode's Cheese Crisps makes me wanna reach through my computer and grab one. But since that ain't gonna happen, I'll hafta whip up a batch with the help of their oh-so-simple and quick recipe. Plus, with this recipe from Our Best Bites, you can store them in the freezer and have pie whenever the mood strikes! I best they'd work equally well with savory options. From what I've been told, when temperatures fall, liquor stores start selling more Bailey's Irish Cream and Kaluha and such. For people like me, who don't partake, I feel like I'm missing out on a popular cold-weather activity. So, when I came across this recipe for homemade Irish Cream Liquour, via Bon Appetit, I thought I could finally join in the fun. The entire recipe follows, but omitting the whiskey would still make a deliciously creamy, chocolaty coffee flavoring. How To Make Olive Penguins. Try floating one of these in your next Ultimate Arctic Martini. Fruit rollups. Delicious, chewy, and full of sugar, corn syrup, gelatin, and chemicals. Oh, and remember the ones with the tongue tattoos?! But, like most good things, you can make them at home - cook, puree, spread, and bake. No, they're not three feet long, but they look amazing. How To: Organize Your Thanksgiving. AOL's DomestoBlog ShelterPop has created a very helpful Countdown to Thanksgiving checklist to help you spread the amount of work over the next few days and to guarantee you won't forget anything! So, sure, they presumed you started three weeks ago, and you may have - but whether you've already got your placecards set or are headed to the grocery store this weekend to plan your menu, take these tips from Judy Ketteler with you.